How does the VEET scheme in Australia work? Who pays and why? How does the VEET scheme work? How does the VEET scheme work? We’re often asked how and why the VEET scheme works by both residential and commercial customers. We thought we’d provide a helpful summary of just how the VEET scheme works in relation to the LED upgrades we complete. What is the VEET scheme for? The Victorian Government’s Energy Saver Incentive scheme (also known as VEET) encourages households and businesses to use energy more efficiently, save money on their bills and reduce greenhouse gas emissions. As a participant in the scheme since 2009, Energy Makeovers can create Victorian Energy Efficiency Certificates (‘VEECs’) when we replace your outdated and inefficient lights with approved energy saving LED products. We then sell these Energy Efficiency Certificates to energy retailers, which pays for, or subsidises some of your LED upgrade. All that’s required is for you to sign our VEEC assignment form at the end of the installation to allow us to create the VEECs. Are tax payers funding VEET upgrades? One of our most frequently asked questions is; ‘are tax payers funding the cost?’ They’re not. VEET scheme LED upgrades are not funded by the tax payer at all. In fact, the majority of companies in Victoria are already paying a VEET fee as part of environmental charges in their energy bills. There’s an example below from a Victorian business who had an LED upgrade through Energy Makeovers. 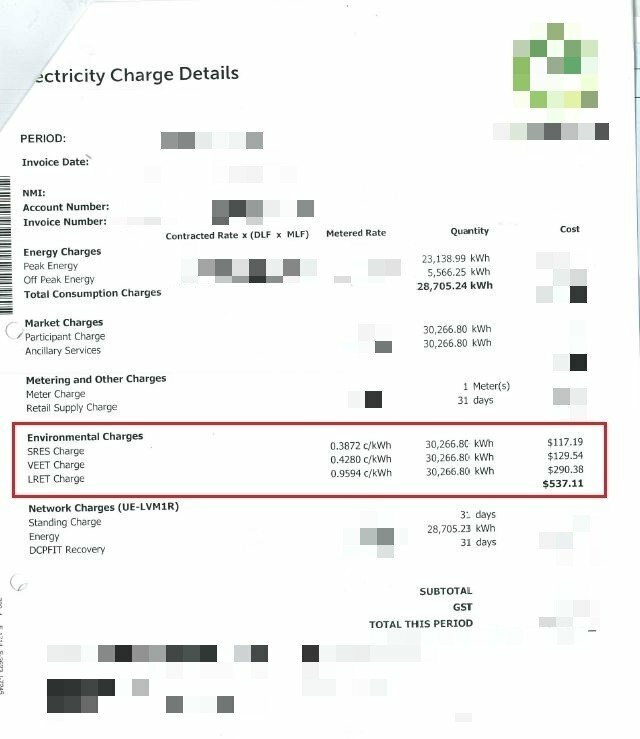 You can see the environmental charges the company is paying to the energy retailer; specifically the VEET charge. The majority of Victorian businesses will be paying a charge like this, unless they’re included on the erep register. There are terms and conditions around the VEET scheme. For more information or to register your interest for a residential or commercial upgrade to LED visit our information pages. As one of the parties involved in the launch of (the then-titled) VEET, and one of the first accredited partners, Energy Makeovers have a wealth of experience of carrying out LED upgrades as part of the VEET scheme. Since 2008, we’ve helped to improve the energy efficiency of over 250,000 Australian homes and businesses with efficiency upgrades. We’re the leading VEET LED installers Melbourne-wide, and have an enviable reputation for helping to save energy, time, money and the environment. What does the VEU Program (VEET scheme) mean for householders and businesses? As the leading VEET LED installation company in Melbourne, residential and commercial customers often want to know more about the VEU Program (or VEET scheme). Now known as the Victorian Government Energy Upgrades Program, the original title of the program was Victorian Energy Efficiency Target scheme – hence VEET. The VEU program aims to encourage households and businesses to find ways to use energy more efficiently – thus reducing energy bills and reducing our carbon footprint. It’s also been designed to make these energy efficiency improvements more affordable, by subsidising the cost of upgrading your lighting. As one of the founding members of the scheme, Energy Makeovers have been helping the people of Victoria to meet these aims, by replacing outdated and inefficient halogen lighting with approved energy saving LED lighting. 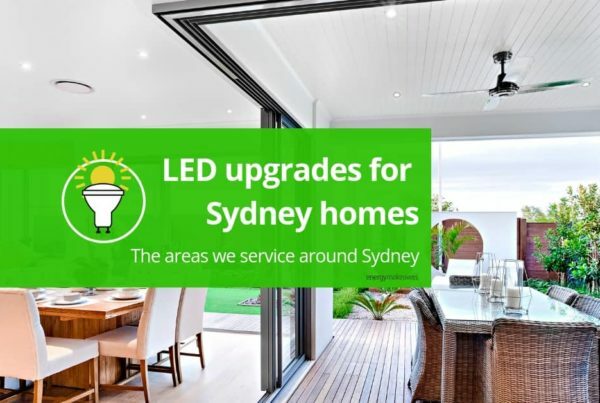 As ESC VEET accredited installers, once we’ve successfully upgraded your old lighting system to a new LED system, we’re able to create Victorian Energy Efficiency Certificates (VEECs) The VEECs are then sold to energy retailers, which pay for or subsidise part of your LED upgrade. 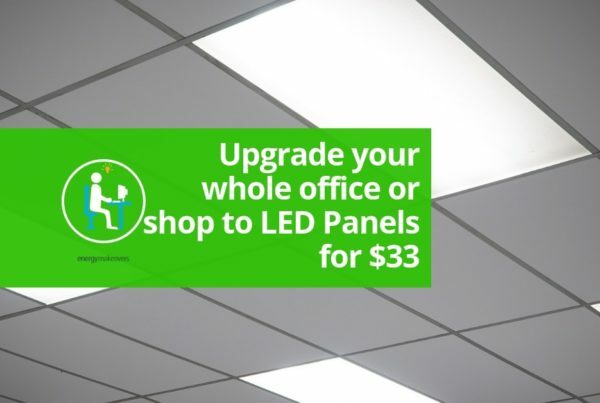 Following your installation, for which you’ll pay a nominal $59 installation fee, we simply ask that once we’ve replaced your new lights, you add your signature to the VEEC assignment form which will allow us to create the necessary VEEC. If you’d like further information on how the scheme can help you, or you’d like to check to see if you’re eligible for a VEU (VEET) LED upgrade, contact the team here at Energy Makeovers, either by calling 1300 788 776 or completing our online contact form. While we do carry out most of our VEET upgrades in Victoria, we also carry out installations of LED lighting recommended by VEU Australia-wide, so contact us now to find out more.